The following article has been posted to the Community Care Options website and we have been given permission to post it to our website as well. This article is about one of our members Gavin, who is a valued member of our Club. He does suffer a mental illness however, this has not prevented him from participating in all aspects of our activities. Gavin, his parents Barbara & Michael and CHGC President Geoff, all talk with Kate Warner, Community Engagement Officer at Community Care Options. 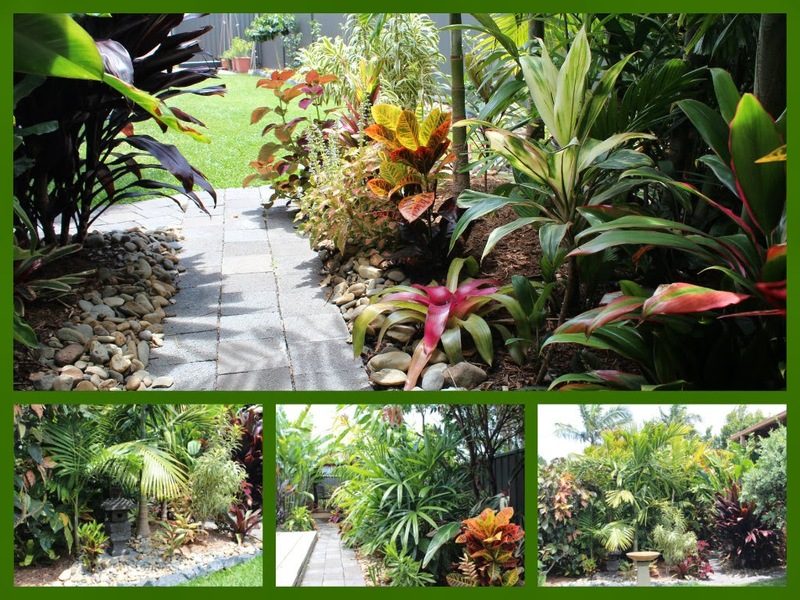 Meet Coffs Harbour Garden Club – one of our ConnectABLE project partners. The Coffs Harbour Garden Club has been around in one form or another for over 60 years. The club is very active with a strong membership base and is known for its generous support of community projects. We talk with President Geoff Bell and members Gavin, Michael and Barbara Reid about what makes the club inclusive and why it is a great social outlet for anyone who has an interest in gardening. Why did Coffs Harbour Garden Club partner with CCO in the ConnectABLE project? Geoff: Coffs Harbour Garden Club has for many years been an organisation that has welcomed people from CCO’s target groups within its membership so it seemed a very sensible thing to become part of the CCO social inclusion network once we found out that it existed. We are a club that tries to ensure it offers something for everyone interested in gardening, together with opportunities to participate at a variety of levels in our club activities and operations. What does being inclusive and accessible actually mean for community clubs and groups? Geoff: Being inclusive is the easy bit in relation to a garden club, and I think we achieve reasonably well on that score. Accessibility is definitely more of an issue for us, particularly because we make regular visits to a wide variety of gardens and other places of gardening interest and this requires a certain level of mobility and independence. From a practical perspective, it could mean that if someone with higher support needs wants to get involved in the club, they might need to have their carer(s) come along with them. Gavin – how did you come to join the club? Gavin: I love gardening. 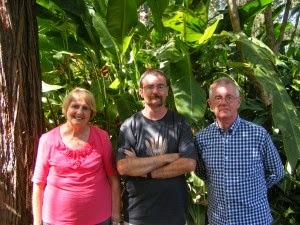 When we moved to Coffs a few years ago I joined the garden club. We had some friends who were already involved so that helped a little bit and now I know most of the members really well. Michael: I came along with Gavin for the first meeting to make sure he felt comfortable and then he was fine after that. Barbara: The club has outings so we recently went to one with Gavin to try something new and after that we joined too. In what way is the club inclusive? Why would anyone feel welcome to get involved? Gavin: I was diagnosed with schizophrenia when I was 13 and I probably had it a while before that. I’ve had some struggles over the years and times when I haven’t fitted in with groups but in general I’ve found the Coffs community really welcoming. The garden club were really friendly and acknowledged me for my broad knowledge of plants and for what I had to offer. I’m usually pretty shy but I’m a lot less shy after joining the club. People in the club are accessible and friendly and that has helped a lot. What could you offer the club? Gavin: I don’t have any formal qualifications but I have done a lot of personal research and study. My particular interest is tropical plants. I’ve built a tropical garden and Bali hut from scratch at home and this has won 2 prizes for best garden feature. A while ago I put my hand up to hold plant of the month talks for the club so I get up and talk in front of everyone – that’s something I wouldn’t have done before. A lot of people have said that I am a really valued member of the club. Michael: Gavin has a particular ability to remember information about plants. His knowledge is almost encyclopaedic. The club respects this knowledge and always refer to him if there is a bit of doubt about something plant-related. What is it about gardening that you love so much? How does this help you with your illness? Gavin: I love watching the plants grow and being a part of that environment. In my garden I can experience the tropics from home without even having to go anywhere. I go into my Bali hut to relax and this really helps me. The physical side of gardening also helps me stay fit. How do members of the club know how to support you if you are feeling unwell? Gavin: I’ve never really exhibited any ‘positive symptoms’ of my illness – things like hallucinations – while doing club activities. If I’m feeling bad, I need to keep my mind off it so I ask people to help me do that by talking to me about general things. That really helps me through. Mental illness can be very debilitating because it’s disabling mentally and physically. When you’re unwell your mind and body get tired and its hard to function. Michael and Barbara – as Gavin’s parents, what have you noticed about his wellbeing since joining the club? Michael: It’s been very positive for him. Barbara: Gavin lives at home which helps him manage but now he has a separate group of friends to us which is great. Or maybe not now that we’ve joined the club too! What would you say to other people living with disability or mental illness who might be interested in getting involved in a community activity such as the Coffs Harbour Garden Club? Gavin: That’s a hard question because I know what’s best for me, but not for someone else. For me, I just wanted to be around people without mental illness. I was involved in a community group years ago that consisted of other people living with mental illness. I found I didn’t have anything in common with them other than my illness. That wasn’t a positive experience for me. I can identify with other members of the garden club because we share a love of plants. I would say the club is a very friendly organisation and welcome you with open arms. They will look after you like they have me. If you love plants, you already have a like minded interest and something in common.